Careful about the water you drink and bathe in. It won't take you too long to watch this movie so it's totally worth your time. 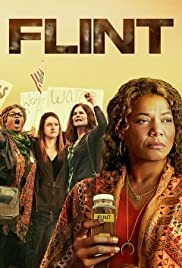 This movie tells the horrifying worse than third world nightmare that took place in Flint. What change will take place so that no county has to go through this again? Queen Latifah is a subtle and effective actress - need to see her more on screen. After this I'm going to use my filter more regularly.